are always looking for exceptional talent to join us along the way. 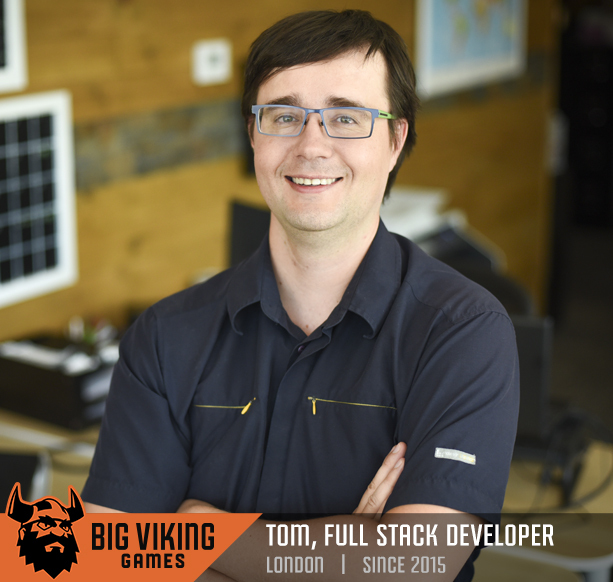 Big Viking Games was recognized by the Globe and Mail as a top Small and Medium Employer in Canada as well as a Top Employer for Young People for 2016! It’s been an exciting few years for us and it’s gratifying to know that the work and effort we put into making Big Viking a great place to work is being recognized. We pride ourselves in going the extra mile to make sure every Viking loves coming to work every day, and believe that setting up a fun, open, and collaborative environment is the key to inspiring creativity. Our progressive culture has also landed us in the top ten of the 50 Best Workplaces in Canada! We are grateful to have won this award and could not have done so without the amazing people we work with each and every day. We are always humbled and honoured to call Toronto and London, Ontario our home, and appreciate the support these cities have given us as we’ve expanded from a mere four employees to now nearing 100. We are excited for what the future will hold and are always looking for talented people to join us along the way! Every Viking gets a wide range of awesome perks. No need to worry about packing your lunch – we offer daily hot catered lunches and an endless amount of snacks and drinks to fit your needs. Get paid what you’re worth! We offer fair salaries based on role and position, and yearly salary reviews for quick career growth! Feeling a little tense? Luckily for you we offer in house free massage therapy when you’re looking to unwind. All employees enjoy the security of full benefit packages, including health, dental and vision. Every Viking gets to participate in fun activities like archery tag, axe throwing, brewery tours—all paid for by us! Got a wedding or a baby coming up? Celebrate with additional, fully paid time off. Start with 3 weeks of vacation, and 2 weeks of sick and personal days. All employees are owners, and share in the rewards of building a great company. Everyone gets paid time off and professional development opportunities each year!